Temple Isaiah’s Parents’ Association is dedicated to enhancing the educational experience of the Religious School students and to providing fun events for the children (and their parents). The Parents’ Association provides welcome back gifts to our students,and apples & honey to celebrate Rosh Hashanah. They assist with class Tu B’Shevat and Passover Seders and offer in-class assistance to teachers. 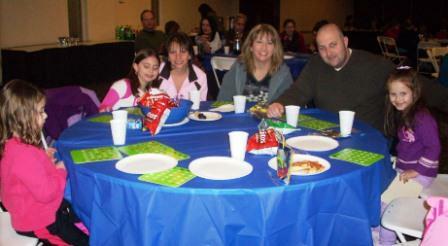 The Parents’ Association also hosts several fun-filled events, including Family Fun Night and Bingo Night. The Parents’ Association annual Book Fair fundraiser in November is enormously popular. Monthly meetings begin at 9 AM and refreshments are served. All parents of Religious School children are invited to attend. The Parents’ Association always welcomes new ideas and offers of help for existing events.